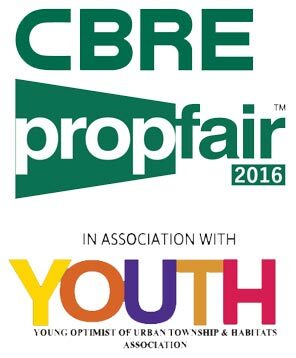 Metro Group participated as a frontline exhibitor at the CBRE-YOUTH Propfair 2016 held on 20th to 23rd May 2016 at the CIDCO Exhibition Center, Vashi. Metro showcased its current Palm Beach Road (Nerul) project, The Palms. The one-of-its-kind event was a huge success in terms of enquiries and spot bookings. Offers like the “5:80:10:5 Subvention Scheme” were showcased. Along with Palms, Metro Group’s two upcoming Chembur projects, i.e Nakshatra and Swiss Boulevard were also highlighted at a pre-launch stage. 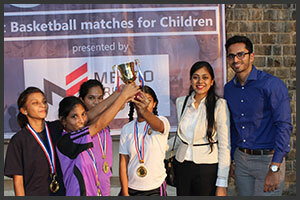 Metro Group holds a firm understanding towards its social responsibilities. The students of K.J Somaiya (Vidyavihar) were kind enough to give us an opportunity to contribute towards one such worthy cause. 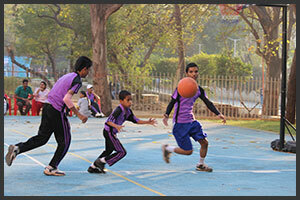 A basketball tournament was organized wherein underprivileged kids from different parts of the city participated. 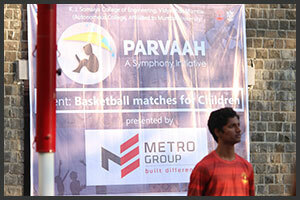 The event was a part of Parvaah, an initiative by Symphony aimed towards the betterment of such special wonders. Metro Group participated as a frontline exhibitor at the CREDAI-banm 16th Mega Property Exhibition held on 8th to 11th January 2016 at the CIDCO Exhibition Center, Vashi. Showcasing its current landmark project, The Palms, the event resulted into a major success in terms of footfalls and enquiries. Attractive offers like the “10:80:10 Subvention Scheme” and “Assured Rental Schemes” were in the offering. Along with Palms, Metro Group’s three upcoming Chembur projects, i.e Nakshatra, Tulsi Elanza and Tulsi Elita were also showcased at their pre-launch stage. 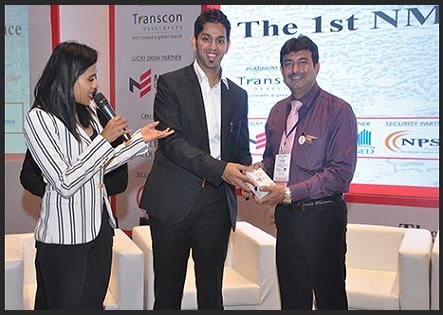 Metro Group is honored for its association as a sponsor for NMAR’s (Navi Mumbai Associated of Realtors) 1st Real Estate Conference held on 27th November 2015. The conference brought together some of the biggest names in the real estate industry with a sole motive of sharing their expertise with the participants. It included discussions on various topics along with strategic implementations to overcome challenges faced in the market. Metro Group is proud to be associated as the official merchandising partner for Navi Mumbai Mayor’s Marathon. 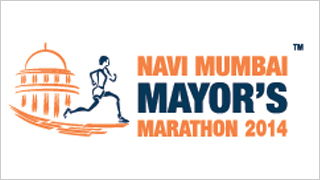 The Navi Mumbai Mayor’s Marathon (NMMM) is an exciting and fun-filled initiative by Shri. Sagar Dnyaneshwar, Mayor of Navi Mumbai. The initiative aims to raise the level of health consciousness among the citizens. Navi Mumbai Mayor’s Marathon saw active participation of 8000+ professional and amateur runners from all age groups from Thane and Raigad districts.